April 7: 5 POWER Lessons From 5 Leaders Who Made History On This DAY! The most significant ambition which all of us commonly must set is, to accomplish all our ambitions. The pure joy and happiness is what is witnessed only when your purpose is fulfilled. Here are lessons from such personalities who not only fulfilled their purposes of their living on this earth, but also left legacy that shall be a source of wisdom for generations. Read on! Ecstasy is something which all of us crave for. Knowingly or unknowingly, we gather ways which directly take us to the treasure of success. The happiness you get when your idea turns into a buzzword which the world pronounces every minute helps you continue to fly high in the sky of joy and contentment. The thought that you nurtured further nurtures you only when you cast your potent strategies to prove the world, your abilities. Make it a motive to show the society what you are here for and imprint it with your inventions and innovations. 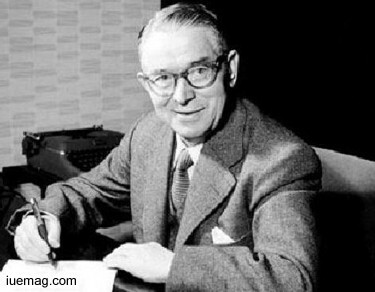 Ole Kirk Christiansen added a tinge of the same to empower his thought process and ideas by founding the Danish construction toy company, the LEGO Group. All of us think and model ideas in our nursery of mind but he made a difference by bringing his thoughts, into reality. Success brilliantly crept into his life when he made up his mind to legate to the world, his crazy and wonderful ideas; he created one of the most famous brands in the world for toys. The inventor of the most popular construction set in the world started aiding his ideas by the LEGO toys which were entirely made of wood. Starting the company with only 7 employees, who were all enthusiastic carpenters, he became a reason for the pleasure that they derived from creating new things. Not compromising on the quality, he drastically elevated his company’s name and status and very well lived every minute of his journey. Our world is advancing as so are our brains. We are aware of numerous life changing facts and we also know the impact that can cover the world, when lessons and guidelines are implemented. Many times, despite, knowing what takes us forward, we tend to not follow the right habits and show the right attitude. It is very important to understand that you never know which move of yours takes you higher. Your job is only to give your 100% and await the awesomeness to happen. Incidents may be small, but the effect it has on our minds, generate powers to transform anything to anything. 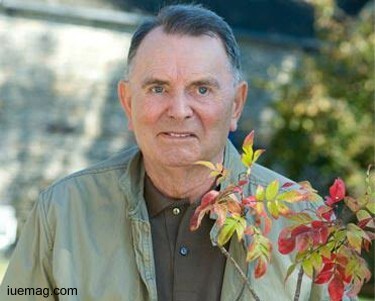 Yves Rocher was a French businessman and founder of the cosmetics company that bears his name; he was struck by a deep sense of realization when he lost his dad. He was only 14 at the time and started making a very relation with the nature and its reality. He mastered the modern use of natural ingredients in cosmetics. This further founded his start up, a cosmetics company, which bears his name. Grabbing all the opportunities which aligned his life, he learnt the recipe for a hemostatic ointment from a local healer. His every action ensured his diverging growth. His envisioned for democratizing the access to beauty products. A leader is someone who is looked upto, respected and also someone who is learnt from. We usually tend to copy what the other person does because we know that he/she succeeded. There is always a small ray of hope inside us which does nothing but intimates that the same action plan, methodology or steps may designate success into our lives as well. Philanthropy must start right within us. What is wrong in importing what an achiever did and implementing the same? You in fact gain from it right? Later, you become a leader when the rest in the world replicates what you did, expecting success. Sak?p Sabanc? was a prominent Turkish business tycoon and philanthropist never completed his formal education. Yet, he is identified as one of the top ranking businessmen of his times. Lack of school education never stopped him from working in all the ranks of his father's business. The head of Turkey's largest business conglomerate and 147th richest man was not only rich in terms of money, but his heart overflowed with the treasure of generosity and socially respected personality. 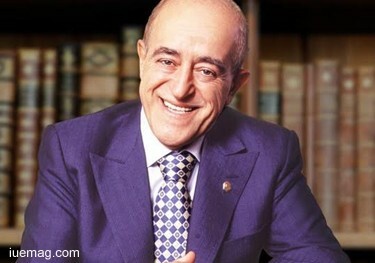 The Sabanci Group which was developed by him still holds a strong reputation and image, and has continued to function and take up numerous ventures just like how it used to. Struggles, challenges, worries, violence, war, sorrow and misery! They undoubtedly hinder our enthusiasm, peace of mind and interest to do what we love to. But remember, a pleasant feel and a gracious smile are more than sufficient to chase all the pessimism and negativities. Everyone have problems but the way they are handled is something that contributes to the cultivation and expansion of positivism. Feel the inner and real you! The deific, clear and innocence filled aspirations drive you out of all the worldly existing miseries and lets the optimism shelter you. 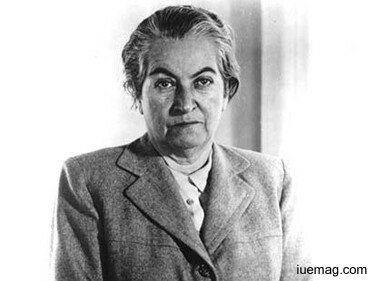 Gabriela Mistral always had poverty as her shadow. It was a must for her to go through fear, inferiorities and moneyless times. Worries will not fetch you any gain, but a lot of pain. So don’t you think the attitude of focusing on what’s next bridges you to success rather than grieving and crying? Never hurt yourself. Don’t even feel that you’ve hurt. You have no right to make yourself cry. Chileanpoet-diplomat, educator and humanist became the first Latin American author to receive a Nobel Prize in Literature. She stands as the symbol of hope and victory which surely inspires every human on this earth to achieve what has to be. Life taught her immense; she started working as a teacher's aide in the seaside town of Compañia Baja, at the age of 15. She framed her way to succeed by concentrating on her passion. She published some early poems, such as Ensoñaciones, Carta Íntima and more. The world in which we live, has both positivity and negativity in it. We often feel that negatives attract us faster and deviate our way and mindset. A half filled glass can also be interpreted as a half empty one. But almost every time we refer to this, we do it by saying half filled. This is positivity isn’t it? Now pause for a minute and think about it. It is all about how you look at and take things. If your mental abilities are not strong enough to enjoy the fell offered by optimism, then naturally we get inclined to hindrances. Better add a pill of energy and qualify yourself to abide by and walk into the world of positivity. 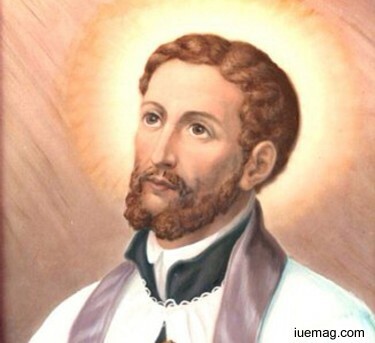 Saint Francis Xavier, S.J. never introduced divinity and positive energy to us, but brought in channels, opportunities and ways to congregate the already dwelling positive energy. Co-founding the Society of Jesus, he formed his mission to destine peace, truth and optimism into the world. The highly influential leader and reformer was the first Christian missionary to journey to various parts of the world to spread his success mantra. The co-patron of Navarre alongside Santiago was known as the "Apostle of the Indies" and the "Apostle of Japan"; he is considered to be one of the greatest missionaries. He is remembered forever and is honored by giving his name to institutions and lot more other things. He is respected for the sanctity which he imparted into the minds of people. Inspiration wells up from within when these energy pulsation lessons are invoked during every action of ours. The positive vibrations from this inspiration, quiver in and out of our minds and can definitely help us reach our destiny faster. Cherish this read along with the lessons in it. Any facts, figures or references stated here are made by the author & don't reflect the endorsement of iU at all times unless otherwise drafted by official staff at iU. This article was first published here on 7th April 2017.